Chargie is an app that allows you to setup fast battery charging visual alarm effects. 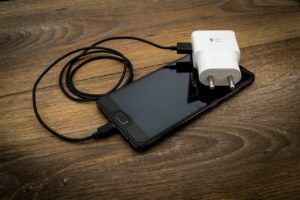 Whether you need to detect your phone is plugged in successfully, or want to see that battery is charging constantly, Chargie is your choice. For now, Chargie has 21 charge alarms in the base version, and 30 effects in pro version. cute, so you can set them up anytime you need some warmth. Digital battery charging alarms are perfect for the new models, with its help your Android device will look even more futuristic. Energy effects literally visualize what’s going on under the hood. This is stylish. Fast battery charging alarm effects are perfect if you doubt operability of USB port, accumulator or plug. Just put the plug into the socket, and you will see fast charge alarm, that tells that everything is fine. Fast battery charging alarms by Chargie are perfect personalization tools. Just choose an effect that represents your personality or complements your device philosophy. To extend your customization opportunities we provided our users with few additional tools like transparency, number of loops and positioning. Size adjustments and optional rotations are coming in further updates. One more notable thing about Chargie it’s strict, but stylish and smooth user interface and pleasurable user experience our team has focused on. Wait for more ui customization options in future updates. Try out fast battery charging alarms now, and, please, provide us with the feedback, what do you want to see in upcoming versions of Chargie.